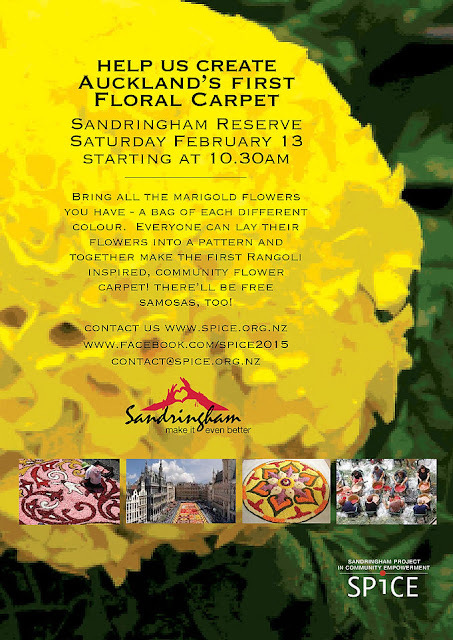 Come along to Sandringham Reserve (corner of Sandringham and Lambeth Roads) to help make Auckland's first flower carpet this Saturday February 13th‬ from 10:30am! Did you grow any marigolds over the summer? If so, bring your flowers and everyone can lay their flowers down to help create the rangoli inspired community flower carpet, joining those grown by other members of the community. Together the community will make a flower carpet! 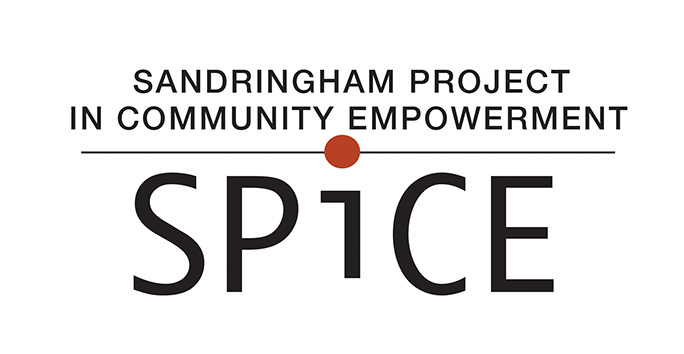 At the event we will gather feedback on how you would like to see Sandringham as a whole developed in the future, to go into our Sandringham Vision Plan. Come to the tent and give feedback on Saturday and we'll have free samosas to say thanks. Sandringham Reserve will be closed from April-June as the new playground and reserve redevelopment is built. Posters of what’s planned will be on show during the marigold event. It is a great chance for us to enjoy the reserve together before it is redeveloped!